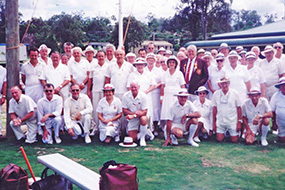 Nerang Community Bowls Club was established in Nerang in 1993 by a group of local bowlers. 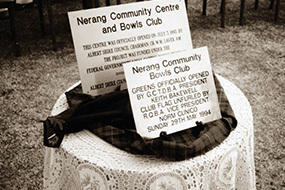 It is home to the McKenzie Park Ladies & Mens Bowls Clubs, boasting one grass green & one synthetic green with indoor & outdoor viewing areas. 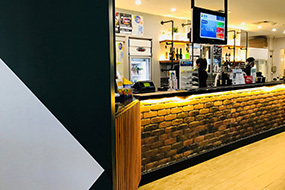 The Nerang Community Bowls Club has a large membership base with 38 top of the range Gaming Machines, state of the art Bar facilities, a Bistro – open 7 days a week, versatile Function areas & Entertainment for all ages. As a Community Club we are home to many community groups including Scrabble & National Seniors. Located just off the M1, between the Nerang BMX Club & The PCYC we are Nerang’s best kept secret, open daily from 8am. 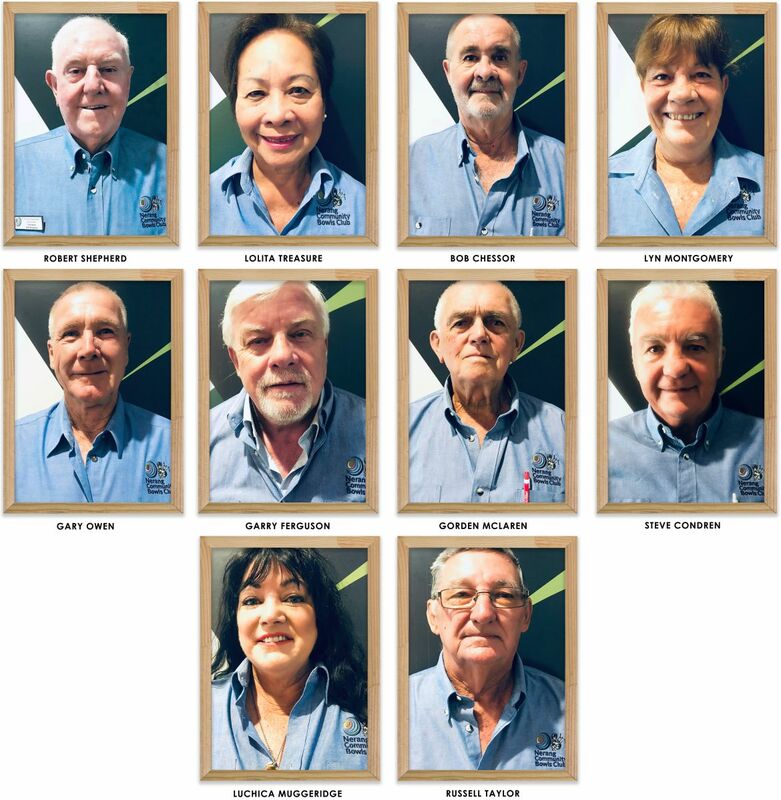 Our Club & Bowls Staff provide excellent customer service and possess a wealth of knowledge & information for members & guests. 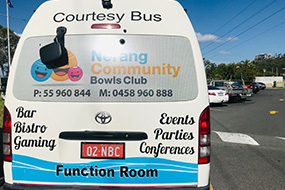 A Courtesy Bus is available for pick-up & drop-off in & around the Nerang area. 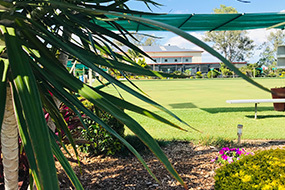 The Nerang Community Bowls Club Board of Management and General Manager have been appointed or elected to make decisions or recommendations in relation to the day to day affairs of the Club. The Board of Directors have the right to socialise within the Club without harassment and members are requested to be considerate of their Committee representatives and raise Club issues either in writing or at a time prearranged with a particular Committee Member. The Committee meets once a month while urgent issues can be directed to the Club Manager for attention. 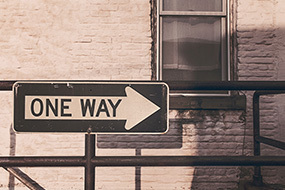 No Committee Member may make decisions or policy or give direction without first obtaining the approval of the Management Committee. Members of the Management Committee are empowered to request the removal of a Member or Guest should they deem that person or persons to be inappropriately dressed or creating a disruption within the Club. We provide a free Courtesy Bus as a service to our members and guests. Call our bus driver on 0458 960 888 for pick ups. 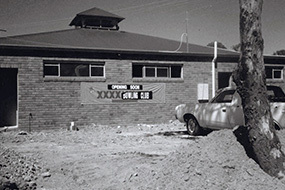 For any other enquiries phone the club on (07) 5596 0844. 11:30am – Close. Raffle Tickets on sale from 6.30 pm. Raffles and Main Members Draw from 7.00 pm. 11:30am – Close. Meals and Entertainment from 5:30pm until 9:30 pm. 11:30 – Close. Promotion draw between 3:00 pm and 5:00 pm. With Live Entertainment every 2nd and 4th Sunday of the month from 2:00pm – 6:00pm. 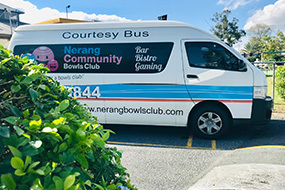 For any career related enquiries, or to talk to us about working at Nerang Community Bowls, please give us a call on 07 5596 0844 or use our contact form.